The "Penta" Sofa, hand-crafted in Southern California, highlights our delicate rose gold plated base. 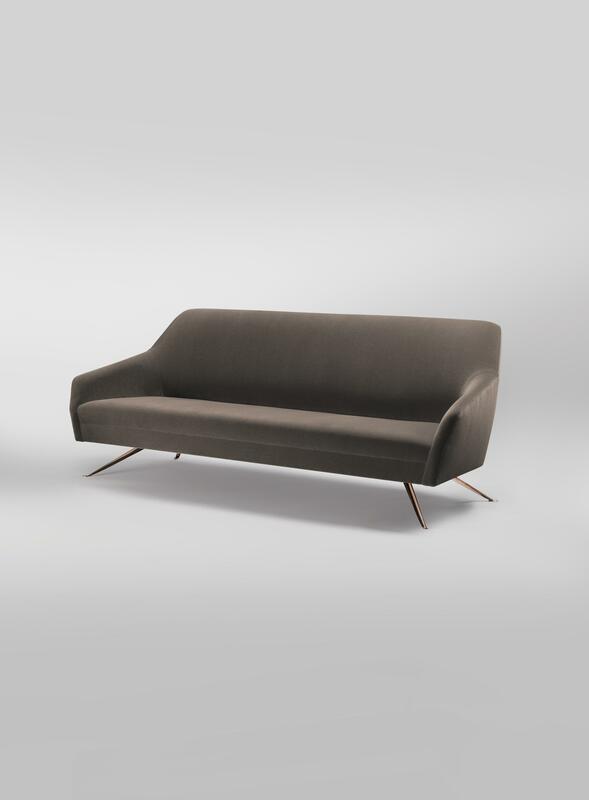 The cleanly upholstered form accentuates the supple curves of this contemporary take on a mid-century concept. Also available as Chair.